As of 8:00 P.M. tonight, 48,173,673 books are available from Amazon. Of those, over 3 million titles were in literature and fiction, over 1 million in spirituality and religion, over 500,000 in biography and memoir, and almost 2 million in money and business. Of these, 2,535,376 were e-books, 103,023 were released in the past 30 days and 46,226 were self-published. And that’s just Amazon. What are all those books about? Who wrote them? Who READS them? More to the point, who buys them, and which ones? Food for thought if one aspires to writing as a career. Even if writing is an avocation, it gives one pause. 1. The world does not want and certainly does not need a book about “My Heroic Life,” no matter how interesting I think it has been. Everyone thinks their life is the most interesting. 2. Writing is hard work and extremely time-consuming. It’s hard to find time to get dressed and eat balanced meals, let alone sustain human relationships (although dogs are more forgiving). 3. 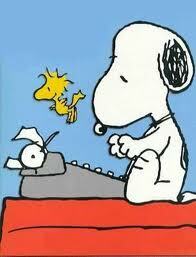 Writers must endure increasing levels of rejection. First come the humiliating rejection letters from publishers. Then once published, threats of lawsuits from outraged relatives alleging exposure of their disgusting secrets, and, if one is finally successful, hate mail from crazies. Writers, overly sensitive by nature, are ill-prepared for such abuse and cannot afford the psychological care needed to overcome it. 4. Writing is expensive. First there is the laptop – a must-have. One needs a well-stocked library of classics and writers in one’s genre as well as a respectable stash of writers’ self-help books, membership in writers guilds, attendance at workshops, and (highly recommended) a cabin in the wilderness without distractions of neighbors, family, and social media. 5. Writing is not good for your health. Working for long hours at a computer is linked to a myriad of health problems including back pain, headache, poor diet, and depression, to name a few. I could name others; there are many excellent reasons not to write. To tell the truth, I can’t really think of a good reason to write. Can’t speak for anyone else, but for me, I write because – It’s just what I do. Thanks, David. Just read your blog. MORE encouraging tips!! No point in writing unless you like it. BTW, love your header photo. May I ask where it was taken?